"Dale is mischievous, a cat on the run. Giving you trouble, to him is great fun!" 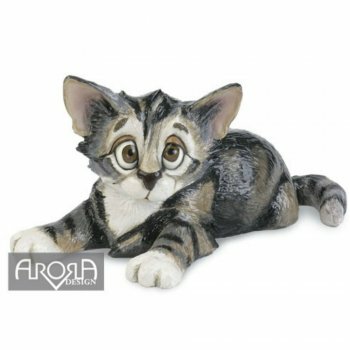 This cute kitten ornament from Ruddick Garden Gifts would be an ideal present for any cat lovers out there. He is made from ceramistone which is a combination of stone and marble meaning Dale can be placed inside or outside your home. Comes gift boxed.